The Wexler Team enjoyed a wonderful time at the 2015 New England Food Show, which was held at the Boston Convention & Expo Center, March 15th – 17th.  Wexler made a great impression in Booth #3018, showcasing a variety of alternative “green” solutions for the food industry, ranging from linerless labeling to automatic banding machines. Featured equipment on display included Ravenwood’s Nobac 500 Linerless Labeling System (sleever). Booth attendees also had the chance to witness “Branding with Banding” live on the ATS US-2000 AD. 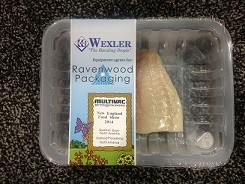 As an added benefit this year, attendees at the conjointly held Seafood Expo were able to visit the Wexler Team with Multivac in Booth #1581, where a rollstock Multivac machine formed and sealed skin pack trays prior to entering a Nobac 500. Our team had a chance to walk the show floor and do some exploring. 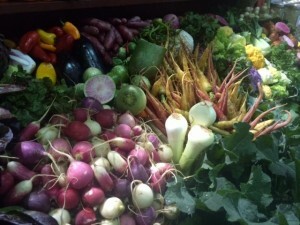 The convention center was in full bloom with a multitude of booths springing forth a colorful pallet of fresh vegetables and robust spices. 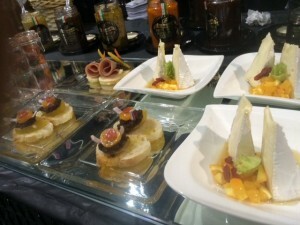 There were also plenty of cooking demos to attend and an abundance of finely prepared foods and delicacies to go around. From Italian gelatos to truffle infused dishes, the venue was a melting pot of bite-sized treasures. Day three of the show ended on a high note with a St. Patrick’s Day Celebration in traditional Bostonian style featuring live Irish music. As usual, a great job by the New England Food Show, Massachusetts Restaurant Association, and all of the Chefs, Exhibitors and participants.